IIE member since 2009, Matthew Kafka is a process improvement project manager by day at Children’s Mercy Hospitals and Clinic. Matthew has recently entered a new business venture, The Local Pig. This brief history sets the stage for his desire to be an entrepreneur. An opportunity via craigslist occurred to open a butcher shop. Matt and Alex Pope, his business partner, met over a few beers and struck a business relationship. Due diligence, his background, and his conservative nature with resources and money all pointed to signs of success for the butcher shop business opportunity. reception has been larger than expected! The original business plan has already been exceeded and larger visions are now being formulated! 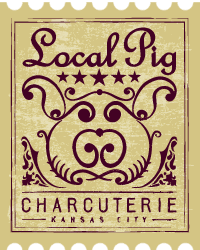 The Local Pig opened its doors at 2618 Guinotte Avenue in Kansas City, MO on February 27. A grand opening party was held on March 3. The Local Pig is open daily from 10:30 am to 7:30 pm.